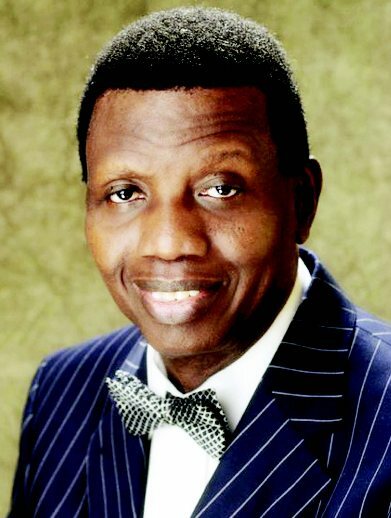 The Redeemed Christian Church of God (RCCG) was founded in 1952 in Nigeria, following a divine revelation received by a young man whose heart had been set ablaze with an unquenchable desire to personally encounter the Supreme Being, in spite of a prevailing environment of nature worship. Seeking a fervent relationship with the God he still knew little about at the time, Reverend Josiah Olufemi Akindayomi was fired by the intuition that there was a greater power than those commonly known to his people. This pursuit of God led him to the Church Missionary Society where he was baptised in 1927. Yet, remaining largely spiritually unfulfilled, he later joined the Cherubim and Seraphim Church, an indigenous African Church that emerged from the Anglican (Episcopal) Church in Nigeria. Reverend Akindayomi’s call as a servant of God began whilst still a member of the Cherubim and Seraphim Church, a prompting he ignored for several years, until repeated business failures brought him to the point of repentance. This season became the turning-point for him in his relationship with God. Humbled, he made the decision to totally yield to God and His purposes, seeking divine confirmation of a call to ministry. The confirmation he sought eventually came through the Holy Scriptures. By 1947, he had also become increasingly concerned about some of the doctrinal beliefs of the Cherubim and Seraphim Church to which he belonged and became totally persuaded to leave in 1952. The House Fellowship he later set up in Lagos, Nigeria soon became the hub of spiritual conversions and remarkable miracles, causing the group’s membership to grow rapidly. During this period, Rev Akindayomi who couldn’t read or write English not having had a formal education, received a vision in which the words “The Redeemed Christian Church of God” were written, being the name of the Church that the Lord would establish through him. By supernatural enablement, Rev Akindayomi was able to write these words spelling out the name of the Church. In the course of that spiritual encounter, God also revealed to him that the Church would spread to the ends of the earth and that when the Lord Jesus Christ will appear in glory at the end of the age, He would meet the RCCG. Without doubt, these were extraordinary prophecies to a man with no formal education or great means. Yet, he did not doubt the promises of the Lord but set out in faith to do His will. The RCCG was, therefore, set up on the basis of this covenant between God and man: as long as the members of the RCCG remain obedient to God’s Word, the Lord has promised to always miraculously meet the needs of the Church. Rev Akindayomi remained faithful to this heavenly vision until he went to be with the Lord in 1980. Prior to this, sometime in the early 1970s, he had received a message from the Lord about his spiritual successor, a young educated man who at the time was not a member of the Church. Hence, when Dr Enoch Adejare Adeboye, a young university lecturer in Mathematics became a member of the Church in 1973, Rev Akindayomi spiritually discerned that this was the person the Lord had spoken about. Dr Adeboye soon became involved in the activities of the Church and began to serve as an interpreter for Rev Akindayomi, translating his live sermons from Yoruba to English. The young man was ordained a pastor of the church in 1975. As revealed by the Lord, Pastor E.A. Adeboye became the General Overseer of the RCCG in 1981. Under his leadership, the RCCG has begun to experience the phenomenal growth promised by the Lord to his predecessor. A man devoted to fervent prayer and known for his unwavering emphasis on holy living as the foundation of a fruitful and enduring relationship with God, Pastor Adeboye is being used by God to bring the message of the gospel to nations around the world. In spite of the miraculous move of God in his ministry, however, Pastor Adeboye’s humble disposition is widely acknowledged, thus making him a role model for many the world over. In December 2008, Newsweek, the international newsmagazine, named him one of the 50 most influential persons on the planet. The RCCG is currently active across continents with thousands of parishes, with a few hundreds in the Republic of Ireland.